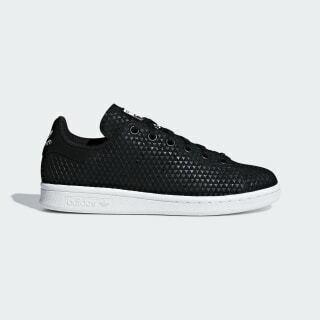 Juniors' Stan Smiths with an embossed geometric texture. Since 1972, the Stan Smith has defined the crisp look of classic tennis style. These juniors' shoes give a modern edge to the clean lines with a geometric pattern that's stamped onto the premium leather upper. 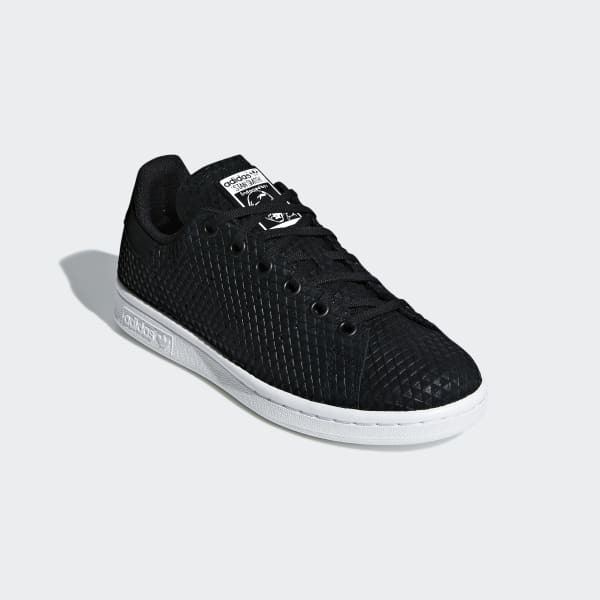 The sleek lines and low-profile rubber cupsole stay true to the authentic Stan Smith feel.